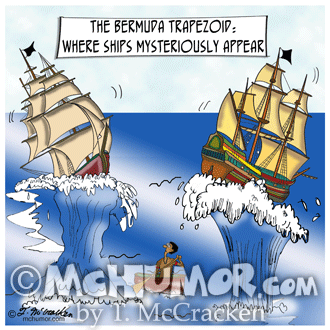 Ship Cartoon 9382: "The Bermuda Trapezoid: where ships mysteriously appear." 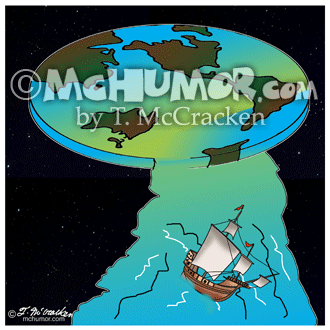 Flat Earth Cartoon 7540: A ship sails on water flowing off a flat Earth. 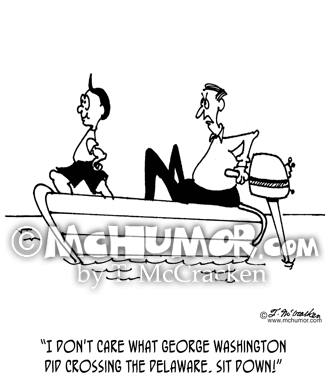 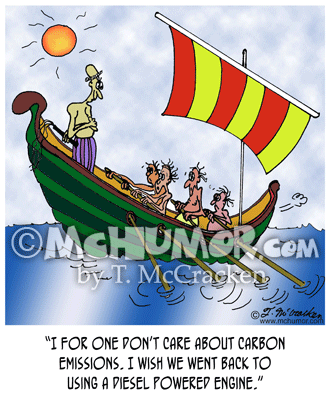 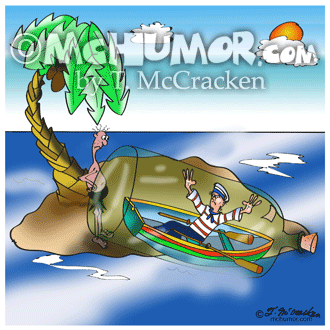 Boat Cartoon 9418: A man in a row boat in a huge bottle washes ashore on an island with a castaway. 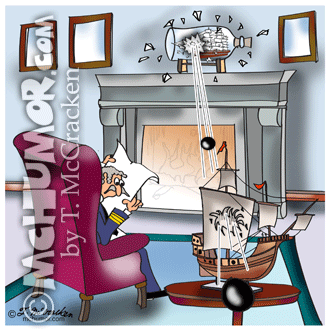 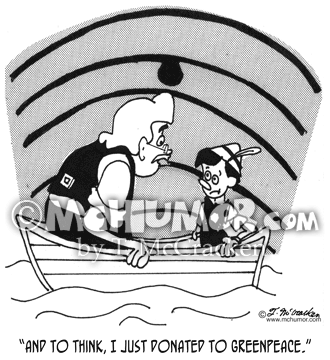 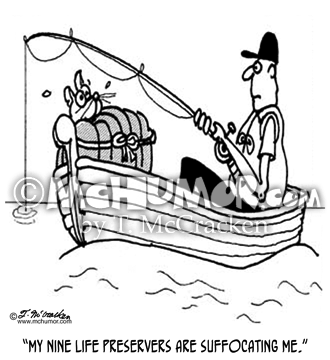 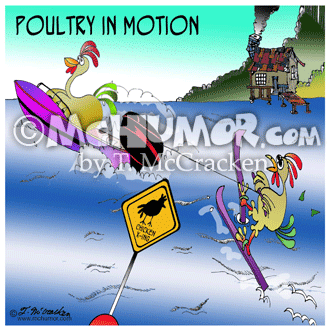 Fishing Cartoon 3057: A cat in a boat saying, "My nine life preservers are suffocating me."